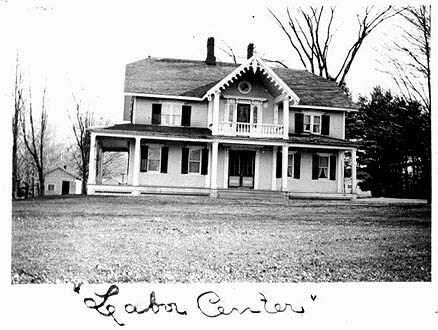 These photographs shows Prospect Home when it operated as the "Labor Center" for the Park. The original photographs were loaned from the Lewis Besse Family. The Besse family was one of several families of Park employees who helped the Park grow. This house, once the home of Perry Jones, still stands in the Park behind the administration building. For more information, see Glimpse of Prospect Home and Chestnut Lawn.